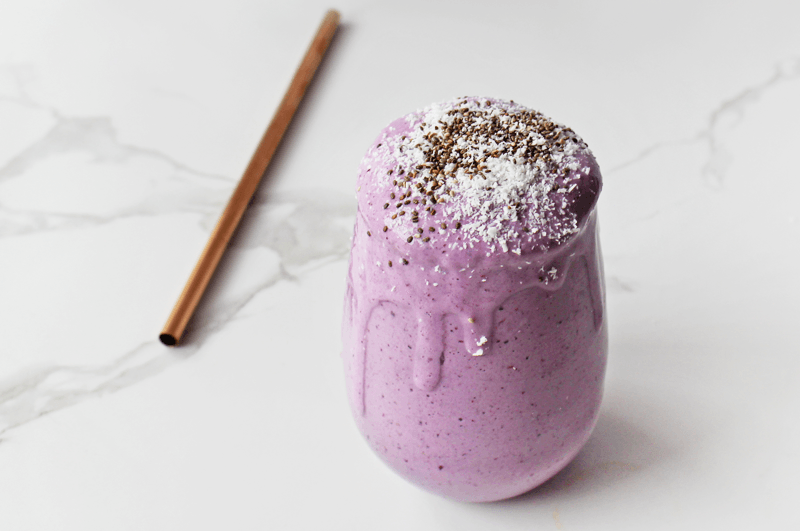 This smoothie makes a great nutritional breakfast and a delicious on-the-go snack option. I also recommend drinking it in the afternoon when you feel that energy slump coming. It keeps me full and satisfied until dinner time, and will help you control your cravings and your weight! I love using a stevia vanilla whey protein which is great if you can tolerate whey. Nuzest makes a divine plant-based protein if you’d prefer. I usually use whey protein. The brand I like is MY Protein from the UK. I like the ‘vanilla stevia whey’. Not everyone does well on whey, but I have always managed well with it. I also use a pea protein called Nuzest when I’m opting for an easier to digest protein (great for vegans too!). I like to add a 1/4 tsp xanthan gum to thicken my smoothies. It’s found at most health food stores. I also use vanilla stevia liquid from iherb.com for extra taste. You can now pay week-by-week for the JSHealth Program – only $18.63 a week!